Robot vacuum cleaners have definitely brought us a step closer to the brighter future science fiction envisions. After all, how many of today’s gadgets can top a small, unobtrusive robot that zooms around the house and gobbles dirt up so you don’t have to move a muscle? The best part is, they’re getting smarter! Manufacturers have gotten very good at figuring out how to keep their robovacs from bumping into things and jumping off of staircases to their demise. Even cleaning patterns have evolved from simple diagonal moves to sophisticated paths powered by the latest sensors and custom maps the device itself creates over time. With new models being constantly released, it’s hard to tell which robot vacuums are worth getting nowadays. We’ve hand-picked six exemplary robot vacuum models for every kind of household and budget. Whether you just need something to clean your apartment from time to time or a highly-sophisticated model that can notify you each time it encounters a spec of dirt, you’ll find the perfect robot vacuum for your needs in this guide. We urge those of you who have tried robotic vacuums in the past only to be disappointed to try this new generation. Excellent at removing pet hair from hard floors. Thoroughly cleans different floor surfaces. Has an excellent cleaning performance. The best thing you can do to make sure your robot vacuum is up to the task of cleaning your home is to take a good look at your surroundings first. Will you be using it in a small space or throughout the house? Are there many carpeted areas in your home, and do these carpets have low or high piles? Are you a pet owner? While the most advanced /and expensive) models can clean shag rugs and hair-infested tiles equally well, other models aren’t as versatile. Entry-level ones don’t do well on carpets for example, and pet hair can trip up even models that cost hundreds of dollars. With that in mind, you can narrow your choices down to a few robovacs that can do all you need them to right off the bat. One of robot vacuums’ biggest drawbacks is their small container size. Even though using them often prevents dirt from piling up, many models’ containers are so small that you’ll need to empty them after each cleaning cycle. The bigger the container, the larger the area it can cover before reaching capacity. Also consider getting a model that notifies you when the container is full so you don’t have to guess. Pay attention to the way the vacuum’s dirt container is designed. Is it easy to get to? Is it prone to making a mess when opened? The last thing you want to do is to pile all that dirt right back onto the floor when emptying it out because of the container’s awkward shape or way of opening. Watch a YouTube video of the container being emptied to get a clear idea on what to expect. Sometimes you’ll want to place a portion of your home off limits to the robovac. Virtual walls do this by emitting frequencies the device interprets as barriers and won’t pass. While not absolutely necessary, especially for small spaces, virtual walls are a welcome feature. It might look like they’ve done a thorough job, but some robovacs only follow a simple pattern and can have gaps in their coverage. 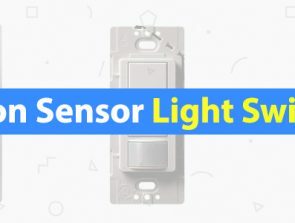 The best models have cameras and state of-the-art sensors that generate a map of their surroundings while registering all the dirt that has yet to be cleaned. Consider a model with room mapping, or at least with multiple cleaning patterns you can switch between for a more thorough cleaning. iRobot are the pioneers of the robot vacuuming world. They introduced the first Roomba back in 2002 and they have been working on improving everything about the automated vacuuming experience since. 16 years and multiple lines later, we have the 900 and 600 series, iRobot’s best-cleaning and most sophisticated models to date. The Roomba 960 is a pricy, but it’s an excellent vacuum cleaner! It picks up dirt other models don’t notice, goes only where you want it to, and makes through passes each time it cleans. Less advanced robot vacuums rely only on proximity sensors and use random patterns when cleaning. Thanks to a built-in camera and upgraded software, the 960 is able to quickly identify objects and move around them. It’s also capable of mapping out your entire floor plan and following a route that maximizes the cleaned area. Avoiding table legs and similar standard furnishings is a breeze. The Roomba can observe even small obstacles like pens or dog bowls and plan a route around them. Floors are left spotless regardless of their type. The 960 is particularly good at shifting from one-floor type to another, and it doesn’t get confused by contrasting rug patterns. It has a main set of twin roller brushes that take care of the floor and a side brush which cleans corners or wall edges. If there’s a part of the house you don’t want to go over, you can set up an included virtual barrier to direct the Roomba elsewhere. One charge is enough for up to 70 minutes of cleaning. You can set the 960 to pass over everything once, twice, or determine the number of passes automatically. Whenever it encounters dirt it can’t deal with in one pass, the 960 will concentrate on that area until it becomes spotless. You can start the Roomba by pressing on its “Clean” button, via the app, or through Alexa / Google Assistant. The app keeps track of lots of statistics including the number of jobs the vacuum has performed, the total area it has cleaned, and the maps of your home it has drawn while working. Apart from its relatively high price, the only major complaint about the 960 is the fact that you can’t direct it manually. Your personal involvement is limited to turning it on and setting up weekly schedules for the vacuum to follow. Dimensions: 13.8 x 13.8 x 3.6 in. Need a robot vacuum that cleans impeccably, but don’t want to spend as much as the Roomba 960 costs? Samsung’s Powerbot is the next best thing! 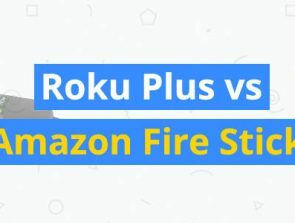 It boasts great smart home integration, an easy to clean dust container, and variable suction intensity all for considerably less than our overall winner. While Roomba still comes out on top when thoroughness and maneuverability are concerned, Samsung’s model comes pretty close in every other aspect. 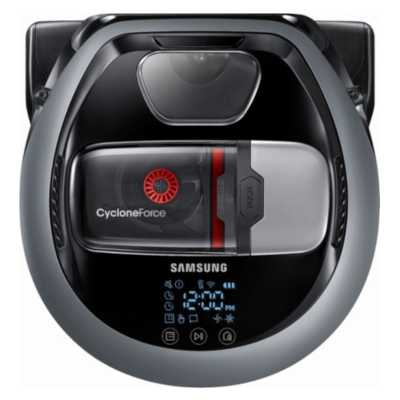 Samsung has designed the Powerbot to easily remove dust and debris from any home floor. Its U-shape lends itself well to tackling edges and corners. There’s a camera that helps it avoid obstacles as well as detect what kind of surface the Powerbot is currently vacuuming. Depending on the floor type it detects, the robovac can adjust the suction strength accordingly. This leads to better overall results and prolongs battery life. Lower speeds are good enough for tiles or parquet floors, but once the Powerbot gets onto a carpet, the maximum suction power kicks in to rid even ones with a high pile from hair or dust particles. Emptying the vacuum is easy, as is charging it. The container is located on its top and snaps off with one press. You can then empty its contents without ever coming into contact with it, making this model a very hygienic cleaning solution. When the battery is low, the Powerbot will seek out its charging station automatically. You also get a remote control to steer it manually and adjust the suction strength yourself. The Powerbot integrates seamlessly into Samsung’s SmartThings environment and can receive verbal instructions from the Google Assistant or Alexa. Selecting it within the Connect app brings up battery information, scheduling options, and manual controls. While cleaning, the Powerbot moves in a diagonal pattern which you can review here too. Although it works fine most of the time, proximity detection isn’t as sophisticated as the 960’s. You’ll need to remove objects like clothes or toys from the floor before cleaning as the Powerbot might not stop to get around them. Thick throw rugs are problematic for it too, so you’ll need to remove those beforehand and clean them another way. Dimensions: 13.4 x 13.7 x 3.8 in. iRobot likes to cater to a broad audience. Case in point, the Roomba 690, a mid-range robot vacuum with many of the features present in its fancier sibling. You’ll have to forego a built-in camera and setting the number of passes a room gets if you purchase it. 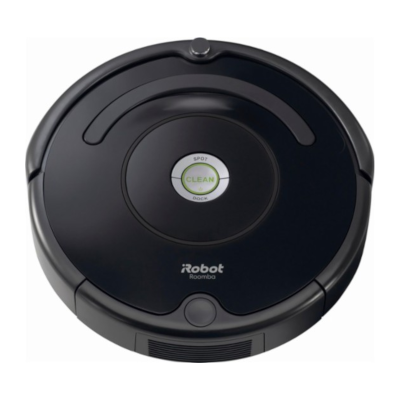 Even so, at half the cost of the 960, this Roomba model is well worth getting. A simple design and Roomba’s iconic grey/black color scheme are the first things to draw the eye. At 13 inches across and 3.7 high, it’s a bit smaller and taller than the 960. However, it shouldn’t have problems cleaning under most beds and sofas. The physical interface consists of three buttons that order the 690 to start/stop cleaning, to get back home, and to spot clean. Coupled with Wi-Fi and battery indicator lights, this Roomba model is very easy to control even without reaching for the app. Since this model doesn’t have a camera, it isn’t as accurate at identifying and going around smaller objects. Expect your kids’ toys to go on a ride if they leave them on the floor. The 690’s virtual wall is a smart way of preventing this from happening though. You can set it up to either block off a 10-foot section in one direction, or to create a 4-foot perimeter around itself the 690 will then ignore. Pretty useful for “fencing off” play areas or your pet’s food & water. Vacuuming with the 690 is a bit loud. This is an indication that it’s doing a proper job. 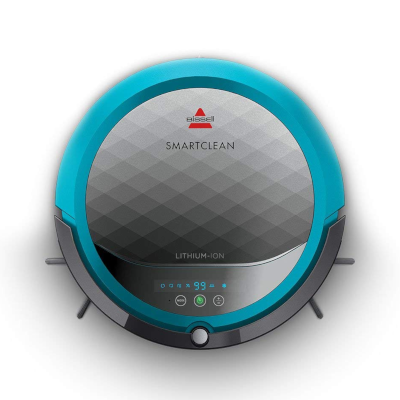 Expect it to pick up all but the most firmly-ingrained dust particles on any surface and have the home clean before its 70-minute charge is depleted. Even if you aren’t home, the built-in Wi-Fi link allows you to turn the 690 on via the app. Scheduling weekly cleaning times and reviewing past jobs is a matter of accessing one of the app’s 3 menu buttons. You can even find your lost vacuum cleaner easier by tapping on the “Locate Roomba” button and following the sound the device makes. Integration with Alexa and Google Assistant is on par with that of the 960, meaning it is easy to set up and works practically all the time. The 690’s cliff sensors are reliable most of the time but have trouble when near dark carpeting. They can mistake the lack of color with a lack of floor to roll onto, resulting in false alerts and neglected surfaces. Since there’s no floor mapping, expect the 690 to occasionally bump into things. Dimensions: 13 x 13 x 3.7 in. Bissell is synonymous with reliable and powerful vacuum cleaners of the traditional kind. It’s natural that they’d want to expand into the robot vacuum sphere too. They started a couple of years ago with the 1605, a model that got a lukewarm reception at the time of release. The 1974 seeks to remedy this and to corner the entry-level market. It might just end up doing so as features like an easy to clean dust bin or virtual wall make it highly appealing. It may lack the cleaning capability of models like the Powerbot R7070, but will do nicely in smaller homes with low maintenance. While you can’t manually control the unit, Bissell has made sure that cleaning is thorough by giving you many alternative paths for the 1974 to follow. It can clean diagonally or in a zig-zag pattern, swirl around in a spiral, or go up against the wall. You can also set it to automatic to take advantage of all the different patterns’ strengths. It’s great that such an inexpensive model comes with a virtual wall too where some costlier ones don’t. Scheduling is performed either through the 1974’s docking station or the LCD display on the device itself. There you can set the preferred cleaning pattern, schedule weekly cleaning in a variety of ways, or tell the vacuum to clean for a set amount of time and return to the station afterward. Once full, the battery lasts an impressive 90 minutes, long enough for two full cleanings of an average-sized home. The 1974 suffers from the same cliff sensor problem as the Roomba 690, albeit to a lesser extent. It doesn’t perform as well on carpets as on linoleum and other hard surfaces due to its short rollers. Actually getting onto a carpet from another surface doesn’t always go smoothly either. When you first charge the 1974, you need to plug the adapter directly into the vacuum, and can only charge via the dock once this is complete. Dimensions: 13 x 13 x 3.4 in. 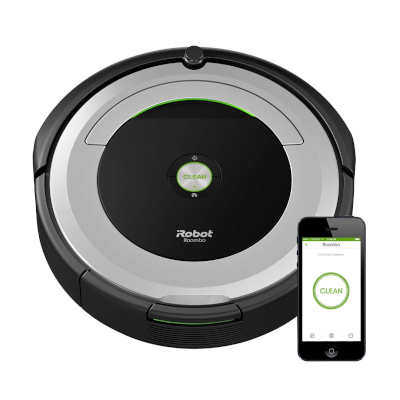 The 614 is Roomba’s current no-frills, entry-level model. It’s got all the basics covered and is inexpensive to boot. Even more austere where features are concerned than the 690, this is a model you’ll want to pick up if you couldn’t care less about anything other than a deeply cleaned home. On that front, the 614 delivers without a doubt! 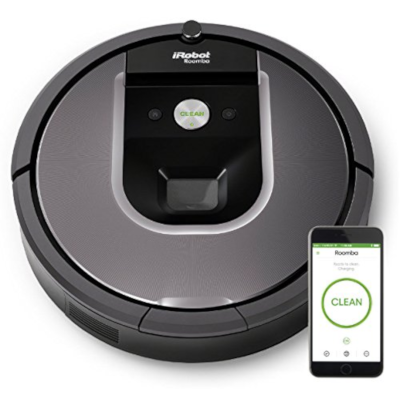 Don’t let the 614’s price tag fool you – it’s a full-fledged Roomba device equipped with the company’s innovative 3-stage cleaning process that remains almost the same on even the most expensive models. First, a side brush catches all of the dirt that’s been accumulating on wall edges or corners and pushes it towards the two main rollers. These then lift the dirt up where it gets sucked right into the 614’s 0.16-gallon tank located in the back. The brushes have a deep reach and are effective on carpets regardless of their pile’s height. Another feature iRobot didn’t skimp out on are sensors – they’re the same as the 690’s and help maneuver the Roomba without many hiccups. Maintenance is as simple as emptying the container and cleaning the brushes on a regular basis. The 614 will detect when its battery is low and recharge it on its own. A single charge holds an hour’s worth of juice. Buying the 614 means giving up on more expensive Roomba models’ advanced features. There’s no smart home integration and you can’t control it via the app. Perhaps the only really relevant drawback though is the lack of any kind of scheduling options. You’ll have to turn the 614 on manually and supervise it yourself. Dimensions: 13.4 x 13.4 x 3.6 in. No matter how much you love your furry friends, cleaning up after them is never fun. Hair is particularly hard for most robot vacuum cleaners to pick up due to its tangled and wiry nature. Expensive models can make short work of it, but until iLife released their V3s Pro, an effective way to tackle pet hair in the entry-level market didn’t exist. It’s got a few issues and won’t be of much help on your carpets, but this robovac is great for daily pet hair cleanup and for maintaining your hardwood floors. The V3s Pro is the smallest and lightest robot vacuum we’ve reviewed. This means that it has a smaller capacity and will need to be emptied fairly frequently. On the other hand, there’s probably no sofa it can’t get under to clean. You can either let it do its thing, or use the remote control to steer the V3s Pro yourself. 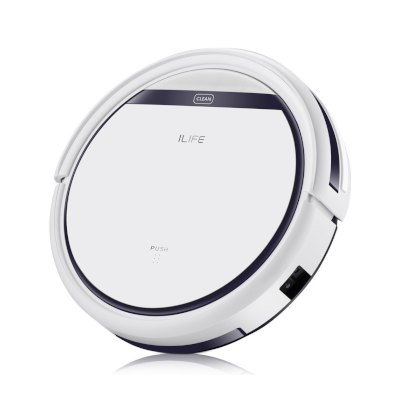 This small robot vacuum excels at removing all manner of hair and dust from solid surfaces. 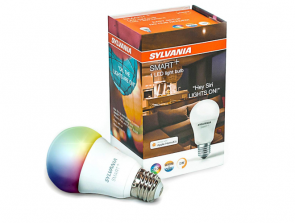 It’s the ideal inexpensive choice for a modern apartment without carpeting. Even if you let it loose in a house with stairs and lots of furnishings, the V3s Pro is adept at maneuvering between chair legs and avoiding steps. The battery lasts upwards of 90 minutes and doesn’t take long to recharge either. 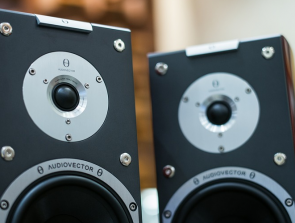 Low-end models don’t always return to their docking station – luckily, this one does! You can use the remote to schedule cleanings. Since it’s one of the most silent robot vacuums on the market, it can be set to clean while people and pets are in the room and not disturb them. If you have large dogs who happen to be molting, expect to have to empty the dust container quite frequently. Since there’s no notification when it is full, you’ll have to keep an eye out and react when needed. Automatic charging works as intended, but the V3s Pro can take its time in getting to the station. This unit is not suitable for carpets and will do a poor job of cleaning them if you insist on using it anyway. Dimensions: 11.8 x 11.8 x 3 in.